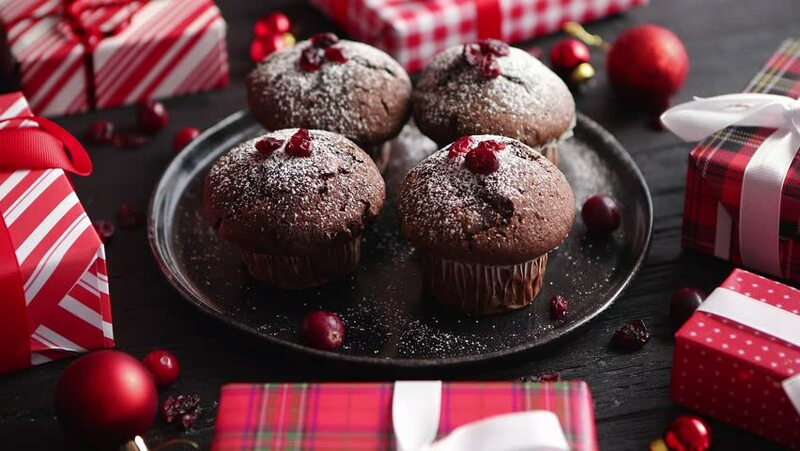 4k00:30Christmas chocolate delicious muffins served on black ceramic plate. Sprinkled with powder sugar. Cranberries on top. Xmas gifts and decorations on sides. hd00:06Homemade raspberries mousse cake. Mousse dessert on a black plate.